The days of warmer weather, fully equipped with outdoor dining, midday humidity and patio soirees, are just around the bend. Fortunately, (or not depending on your region) we have approximately four more weeks left of winter to revel in stunning outerwear, replete with meticulous layering. What better way to close out the season than with an unconventional all-black look from Michael Kors’ Fall/Winter 2016 collection. The ombre effect on the coat, along with the noticeable charcoal undertones on the pants, set a tone of reconfigured traditionalism. Inherit the spirit set by Kors as we close out winter in good fashion. Style Advice: At this point we have a pretty consistent groove going. 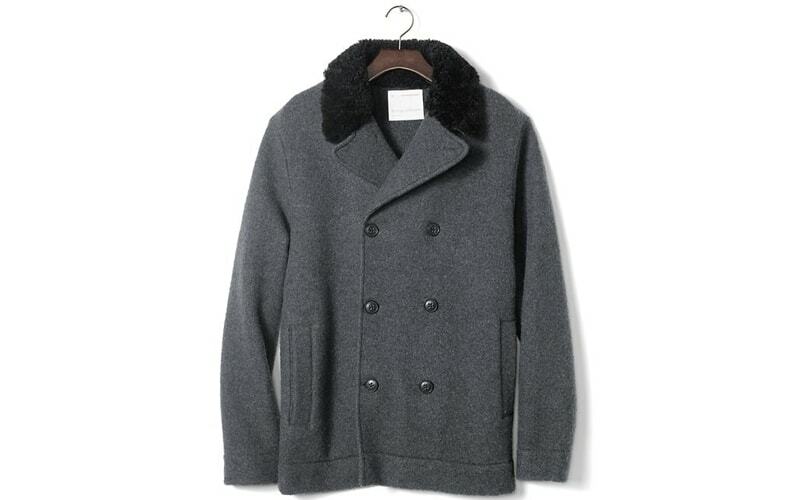 We know we need to cover our base – the overcoat – so make it impactful with this grey frock with a black shearling collar from Banana Republic. 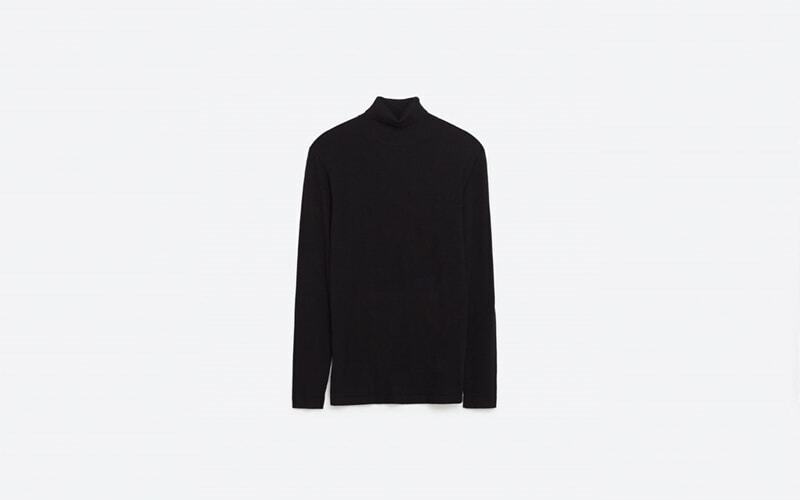 Pair an easy to access viscose turtleneck sweater from Zara, with a little more prepared and harder to dig charcoal trouser from Reiss. 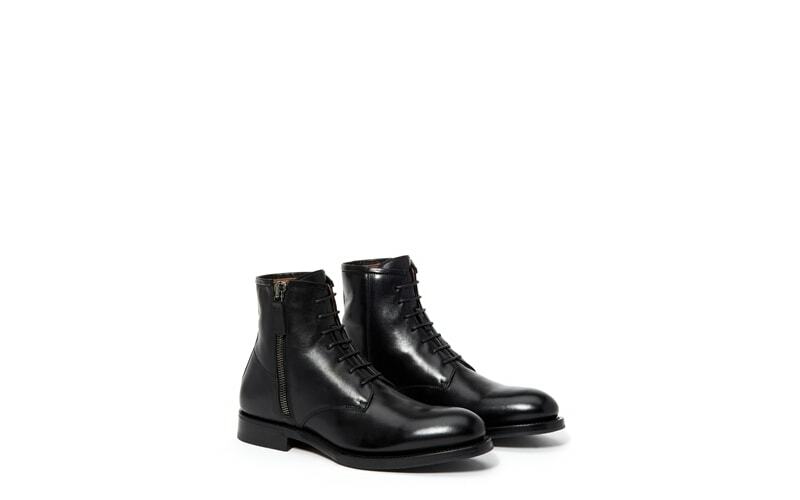 On the footwear tip, try fashion that functions with these lace-up Goodyear welted weatherproof Aquatalia boots. Ditch the sunglasses; trust that it does not add any measurable value to the overall look, and hone in on the crossbody bag that will adequately furnish this ensemble. 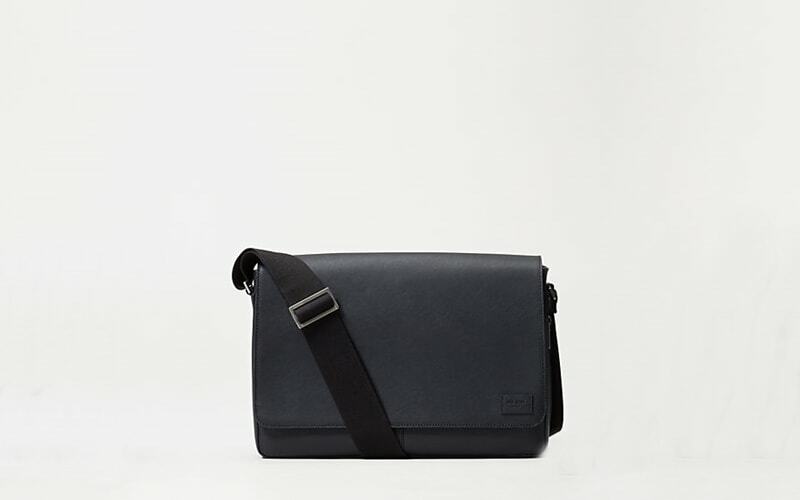 For the luxe composition with a laid back silhouette that provides a chill edge, go for the Jack Spade leather messenger, an effortless piece that the average guy would know how to wear. Must-Have: Athleisure is in vogue, and as unsettling as its ubiquitous presence can seem it most certainly has its merits. Many trends have been dispensed from this overarching style craze; most notably: the trend of tailored sweatpants, widely known as joggers. While the pairing of the latter with dress clothing is cringe inducing, styling said item within the boundaries of its jurisdiction can yield favorable results. We're talking knitted sweaters, white sneakers, bomber jackets or the like. Given the disseminated popularity of this garment, options are copious. Try this pair from J. Crew at $70. Integrate it into your offering and see how it goes. We highly recommend it. Industry Update: The Oscar winner’s charm and good looks are undeniable factors that make him ripe for handsome styling. Mahershala Ali's paced rise to sartorial prevalence is not a novel feat; in the realm of artistry once someone’s performance is recognized his or her sense of style is obligatorily upgraded. The prominence of Ali’s image on the glossy pages of GQ, Esquire, Mr. Porter’s Journal and other mainstream fashion outlets is important. His stature – standing at 6' 2" – his golden medium brown complexion, his delicately urbane swagger and his faith, are outside the conventions of the celebrated thespian turned style icon. Representation on all fronts matter, and the Academy Award winning actor’s soon-coming style takeover is par for the course. Along with piles of scripts, endorsement deals, guest appearances, and the inevitable TV pilot, exhibiting impressive chops in the clothing game is a viable frontier for the artists of today. As fashion becomes less of an extension of entertainment for the masses and more so a new genre of entertainment, representation on this frontier will continue to be increasingly considered necessary.